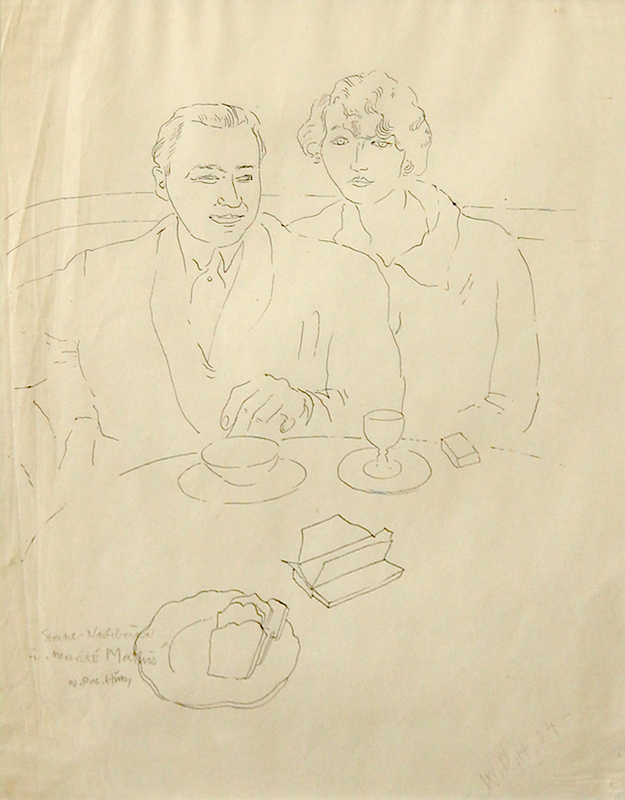 „Ernest Stahl- Nachbauer und Marité Matthis“, 1921, ink on paper. Huth was artistically very close to the expressionist works of Kirchner and Schmidt-Rottluff. is one of his earliest attempts to overcome expressionism. sucht einen Mörder“ („M- a city searches a murderer“). in Berlin and became friend with Karl Schmidt-Rottluff, Erich Heckel, H.M. Pechstein and George Grosz. He married the painter and designer Martel Schwichtenberg in the same year. He joined the expressionist group „Jung Erfurt“ in 1919 (see works of the other members Willy Kirch and Alfred Hanf in the section „Figure“ and „Landscape“) . 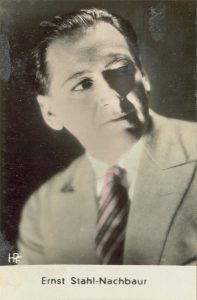 Together with Hermann Sandkuhl, Huth was founding member of the 1921 „Juryfreie Kunstausstellung“ (jury free exhibition). For the „Kestner Society“ Hannover, he designed 6 lithographs for the annual Kestner portfolio.